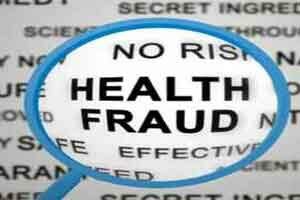 Washington: One of the largest healthcare frauds in American history caused more than USD 1 billion in losses after hundreds of thousands of patients were lured into the scheme, US investigators said Tuesday, announcing charges against 24 people. They were lured by an international telemarketing network involving call centres in the Philippines and Latin America, the Department of Justice said. “Proceeds of the fraudulent scheme were allegedly laundered through international shell corporations and used to purchase exotic automobiles, yachts and luxury real estate in the United States and abroad,” DOJ said in a statement. DOJ said the schemes involved “more than USD 1.2 billion in the loss.” Administrative penalties were also issued against 130 orthopaedic equipment suppliers, DOJ said. “Today, one of the largest healthcare fraud schemes in US history came to an end,” said Robert Johnson, assistant director of the FBI, one of several agencies involved. “All taxpayers will endure the rising cost of healthcare premiums and out-of-pocket costs as a result of fraud on our Medicare system,” Lydon said.